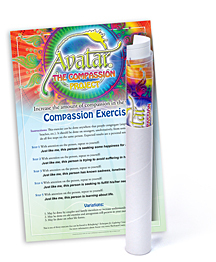 This colorful poster displays the highly effective Compassion Exercise from ReSurfacing, by Harry Palmer. It makes a great wall display and is very useful for intros. Each tube contains 5 full color 11"x17" posters.